Located in the heart of one of the world's most famous playgrounds, Waikiki, experience comfort and relaxation while enjoying an exceptional vacation value. This hotel graces the former estate of Hawaii's last and most beloved princess Victoria Ka'iulani, and is just steps from world-famous Waikiki Beach, unlimited shopping, dining and nightlife. Our guests enjoy romantic poolside dinners, nightly entertainment and Creation - A Polynesian Journey, dinner show. 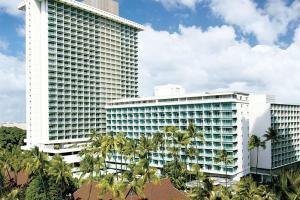 This hotel embraces warm Hawaiian hospitality as it was intended and delivers that spirit with Aloha to all guests. In the center of Waikiki, next to Kings Village and the International Market Place, across the street from beach. Approximately 9 miles from Honolulu Airport. Poolside, Pikake Terrace, Splash Bar, and In-Room Dining.